Helps detox, purify, and cleanse the receiver on all levels. Balances energies in the physical and etheric bodies. Self Reiki ATTUNE to the your authentic Self and reboot your life! Wether you decide to learn Reiki for yourself or to become a practitioner at the service of Reiki. Your journey starts here! Classes are from 9 a.m. to 4:30 p.m. with a 30 minute lunch. Please bring a journal to class to record your expereince during the attunements. This 14 days (7 weekend) program is for those who want to take a deeper look at themselves as they learn to identify early childhood issues related to the developpment of the chakra system. Begining the first chakra each participant will learn how to identify and resolve challenges encountered and how to sucessfully coach their client through the same process. All seven chakra will thus be explored. This program can be taken independently to any other program as it is as much a self discovery and healing journey as it is a training to be of service to others. This 10 full day praticum teaches a total of 14 healing methodology to address specific ailments and imbalance in the physical and etheric bodies. You will be able to practice all 14 of others as well as receive many of these as well. This class is open to anyone with at least a Reiki 2 training or with certification in other therapeutic touch hands on healing. We will address the source and current of energy for each specific healing, the importance of skill, intuition, presence and groundeness to perfom these. As well as ethic of touch and record keeping. Some claim to be able to attune remotely - over the internet. But I assure you that even though you may receive the piece of paper saying that you received the attunement the experience is not there. And if you only are interested in getting the paper - print your own -- there is as of today no regulation of this modality. However, if you want your life to be transformed for the better; if you want to be able to heal yourself and others; if you want a means to develop your intuition and your relationship to Source: then learn Reiki the old fashion way: find a reputable teacher. What to look for in a Reiki teacher and what to expect from a Reiki training. Today most Reiki classes follow a similar format outlined below and yet many fall short in their content! Originally Reiki was taught for personal development rather than a system for healing. As such Reiki not only teaches techniques to heal oneself and others but also guides the practitioner on her path toward enlightenment. With Reiki 1 you will learn to heal yourself and be attuned to the energy of Reiki to speed up your spiritual development, and heal your physical, emotional ad mental bodies. With Reiki 2 you learn to heal others, to perform distance healing. But most of all, Reiki 2 is to develop your intuition by letting Reiki flow through you and listening to the guidance of your guide (s) and that of the receiver. This is the pure and systematic practice of Reiki, which reveals to you your personal gifts and talents. Reiki then send you on a personal journey of discovery. With Reiki 3 you truly become the master. If you choose to learn Reiki 2 with Chantal you will need to have 40 hours of Reiki practice on others before you take Reiki 3. .
You have learn with Reiki 2 to channel Reiki healing for each receiver and by the time you are ready to take Reiki 3, Spirit as revealed to you affinities with other body of knowledge. As such you may be interested to combine Reiki with aromatherapy or crystal or sound or shamanism and angel therapy. It is different of each student and because you have receive "pure Reiki" you are able to follow your calling and develop your practice accordingly. And you Reiki Teacher is there to help you assimilate these into your practice. If you had been already taught and altered version of Reiki such as Shamanic or Angelic Reiki to name a few, you may have missed your calling. What to expect from each level. I consider the Reiki 1 class to be the most important level of all because it will clear your Auric field of any blocks that are keeping you from fulfilling your mission and open your Crown Chakra to received and channel Reiki energy to heal yourself. It will help you process your fears and challenges so you can become a clear and pure channel for Reiki to flow through you. To be able to heal other you first have to learn to heal your self. Hence the mandatory 21 day-practice of Reiki on oneself. Lynn Mc Taggart in The Intention Experiment describes the effect of energy such as Reiki on a single cell organism. When the healer was healthy and feeling positive the organism multiplied beautifully but when the healers were feeling tired or sick they actually killed the organism instead of helping it grow! With each level your Crown Chakra is opened a little more and you are able to channel more and more Reiki energy. During the attunement symbol are placed in your aura for power and physical and emotional healing. With the initial 21 days practice you facilitate and harmonize your body to the frequency of Reiki. If after the four attunements of Reiki 1, you decide not to pursue your Reiki training, all you need to do is "not" practice for 21 days and your body's vibration will not change to attune to the energy of Reiki. So the attunements are not magic. And because each attunement helps the recipient release a fear or burden or accept a revelation or gift they must be done in person and the information evaluated and elucidate with the student by a trained Reiki Teacher. How to evaluate a Reiki training. • First: be aware aware of the teacher's lineage. The shorter the lineage the less chance for distortion and omission. If you choose to learn Reiki with Chantal Guillou-Brennnan, you will become a 10th generation Reiki Master and Teacher after Dr Usui. We consider our new student to be the new wave of healers as they begin the cycle as a 10th generation Reiki. • Lastly: Ask to see how long the Reiki teacher has been practicing Reiki and how much expereince they have in teaching the class. Four attunements, during which you receive healing and guidance from your guide; and which serve to cleanse and align your Chakras and open your Crown chakra to channel the Reiki energy. And most importantly the meeting of your Reiki guide who will assist you on your journey as an energy medicine practitioner at the service of Reiki. Understand what Reiki is. The meaning of Rei and the meaning of Ki and why reiki is consider and intelligent energy. The difference between Reiki andother form of energy healing. Learn the five Reiki principles and the history of Reiki. Learn the three Pillars of Reiki which include: How to invoke and channel the energy of Reiki. How to cleanse your auric field and recharge your Energy field. How to protect yourself from harmful environment. Learn how to transmute toxin in your food and water. Get an introduction to the energetic body and chakra system to be able to assimilate the body of knowledge of Reiki 2 class. With our class you will also receive a certificate of achievement and a comprehensive Reiki 1 manual with detailed instruction of all that you will learn in class. Reiki II Class – Heal others, Practitioner Training • Prerequisite: Must have practice "Self" Reiki for a minimum of 21 days. Receive the two Attunements of Reiki II and respective meditation and guidance during each. Receive three basic Reiki symbols for healing and empowerment and learn how to use them. How to to reiki on situations and between people and entities or between entities such as countries and companies. Learn how to develop your intuitive abilities and you practice scanning and reading the field. Learn how to perform a full Reiki treatment on others and practice the Reiki treatment's seven steps which include scanning, sweeping and closing. Learn the ethic of touch and how to conduct a session. In our class you will also receive a Reiki 2 certificate of achievement and a comprehensive Reiki 2 manual with detailed instruction of all that you will learn in class. Prerequisite: Must have practice 40 hours of Reiki on others. Be able to draw/use all 3 symbols successfully. Learn additional hand positions for specific ailments. Evaluate how you have been guided to deepen your knowledge of energy medicine since you graduated from Reiki 2. Strengthen your partnership with Source by exploring angelic and shamanic Reiki. Further increase your intuitive abilities and recognize energy patterns and seeing the aura. Learn to give Reiki with your eyes. How to keep record, evaluate a cleints condition. Plan for a followup session. Review the legality of practicing Reiki in your state as well as you right or not to touch others. In the sate of CT you need license to touch (massage, nursing, physical therapy) the alternative is to become a minster to be allowed to perform "faith healing". Contact us if you wish to become an interfaith minister. Receive additional meditation technique and methods to boost your immune system, which is important when you help others often. Receive additional hands position for specific ailments (included in our manual). In our class you will also receive a Reiki 3 certificate of achievement and a comprehensive Reiki 3 manual with detailed instruction of all that you will learn in class. A few minutes of Reiki a day can restore harmony on all levels and provide the base for a joyful day. Recognized across the US for his extraordinary breadth of medical knowledge, Dr. Mehmet Oz draws an average of 4 million viewers a day, Oz’s voice is a strong one in the American health community, recognizing the benefits of a holistic healthcare approach. 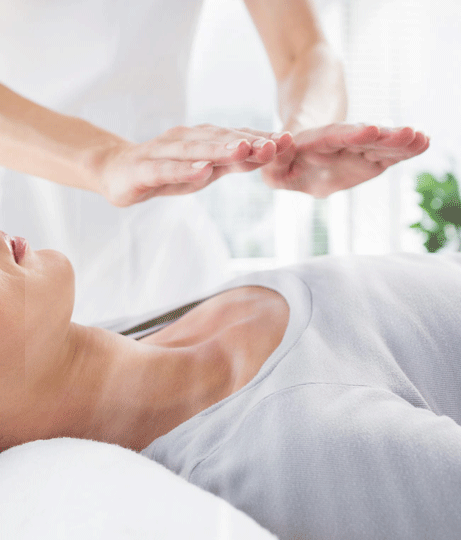 One of the pillars of this integrative style is the inclusion of Reiki therapy. A Reiki Master speaks about the nature and benefits of reiki. A father whose son is on the autistic spectrum explains how Reiki helped his son to transition from "parroting" language to forming original sentences. Mainstream media coverage of Reiki and energy healing including a brief commentary by Dr. Oz. Reiki Master and intuitive healer Carolyn Coleridge worked at UCLA Pediatric Pain program, assisting the Members on the complementary Alternative Medicine Team in treating children with chronic pain conditions. Music can enhance the relaxing and calming effects of Reiki. Reiki is said to be Universal life force energy. In essence it is true yet there is much more to it than that; and the explanation of, what it is, and how it works, is in the name Rei-Ki. We know what Ki: is it is the Chi that we can map in the meridian system and throughout every thing that lives. It is quantifiable and measurable. It is comprise at the atomic level to electron and proton and neutron that make up everything that exists, from your hand to the screen you are staring at! And yet these particles that make up matter are at the quantum level so tiny and separated by so much space that we are told that 99/995 of everything is nothing! That’s; right it’s non energy. The ancient called it Wuji or Rei. Some also call it the unifying field. But it is that non stuff between all “things” that binds them together with intelligence. In fact, the greatest force in the universe is not the strong or week or nuclear or gravitational force. There is a force like no other that holds creation together and it is LOVE. It is the divine intelligence that abides in every cell of …anything! It is the Rei in Reiki than justifies that this energy channel from Source is indeed intelligent and when his the purest intent is flowing through any system will then harmonize it for it’s highest good. As such Rei-Ki is your catalyst to transformation on all level: physical, emotional, mental, karmic and spiritual. It is indeed your catalyst to spiritual awakening. But is does not just happened by magic. You to do Reiki on yourself and the more you do it the more transformation you effect and the more result you’ll notice. So begin today by learning the basic level to transform you life learn Reiki, take our Reiki 1 class. 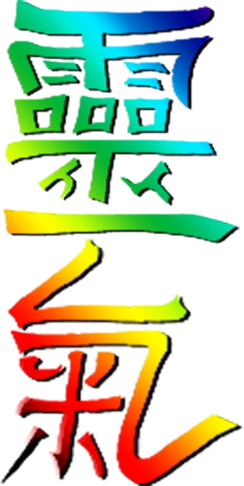 Following on the premise laid out above, in “How ReiKi is your catalyst to spiritual awakening article, then we can understand that the nature of Reiki is to bring balance to any system. Reiki can be done on people but it can also be done on situations involving individuals or entities such as countries or companies. Reiki will find it way to where it need to flow and will bring balance and harmony to the system. The receiver is the one allowing the energy to flow through and n whatever vibration and quantity it is needed. In the midst of a Reiki treatment the practitioner becomes aware of these flow and works in partnership with the energy. It requires the development of High Sensory Perception and intuition, which begins as you reiki yourself –listening to the need of your body and staying on any point as long as you body needs it. And it continues with Reiki 2 when you do the same for the receiver and listen to the guidance you receive during a treatment. So when you finally receive the “data” in Reiki 3, you already know how to work in partnership with ReiKi and are not just trying to apply knowledge but “remember” the knowledge as you let the session evolve for the highest good of the client. Reiki is often called an intelligent energy that will address the client’s needs on all level, so why add other therapies? As the practitioner becomes aware of the energy body, including the chakra system, the meridian system and the many acupressure points throughout the body, as well as the energy fluctuations within the Human and Universal Energy Fields of the receiver and themselves they begin to acknowledge patterns and correlate these with their knowledge according to their personal skills and abilities. For a practitioner who has limited his field of study to the administration of a Reiki treatment without learning about the Chakra system, a session may flow like a river without as much as a ripple. But for those who have delved deeper in the nature of the energy bodies and systems (organ/chakra/meridian) a treatment may become as rich and rewarding as a symphony. Reiki doesn’t require analysis. Instead it requires the practitioner to become a clear and pure channel for the energy of Source to flow though his Crown Chakra down to his heart and out his hands to the receiver. This procedure leaves the practitioner free to assess the various patterns of energy that he may perceive with his five senses and his High Sensory Perception and intuition. The result is that the practitioner may at any point either follow his own knowledge or wisdom or listen to the guidance of Spirit to use his various skills and knowledge. It’s like someone trying to interpret a dream without (or with) an established dream vocabulary. The one who has develop his vocabulary will receive much more insight that the one who has never thought about it before. For example the first time I perceive the meridian system was during a Reiki treatment during my internship at the Milford Hospital. These rivers of light were very real to me as I held the hand of an elderly woman suffering for the effect of a stroke that paralyzed her left side. I followed my intuition to hold the base of her neck and to follow the rivers of light down from her neck to her fingers, holding each finger in my hand and letting Reiki flow as it usually did. Midway through the treatment she cried in chock showing me how she could wiggle two of her fingers that she had not been able to move since the stroke. This incident prompted me to learn more and become certified in Jin Sin Jyutsu (acupuncture without needled). JSJ requires analysis and Reiki doesn’t as such they do marry very well. Now I may start a treatment read the pulse to evaluate where in the meridian system the energy block is located. I may devise a treatment plan choosing from hundreds of flows, which one will be best for my client. “YET” as I approach the table to administer the treatment more often than not I hear/feel/know that it is not the way I am to begin the treatment and I follow this guidance to begin with may be Reiki or with method that originally “belongs to another perspective! The session then evolves incorporating several skills or protocol. Where does one modality end and the other begin? When you see the human body from many perspectives, which have their roots in various therapeutic modalities, then you begin to acknowledge that you are not applying different method you simple are acknowledging their use of different vocabulary to describe the same human body. It is time to begin to integrate these therapeutic methodologies into a coherent body of knowledge. This is the mission of the Integrative Energy Medicine Institute, which I founded in 2008. For this to be possible we need to realize that it is time to open Pandora’s box and share the many perspectives of energy medicine instead of keeping them “secret” obscure and difficult to trust because they are difficult to evaluate and understand. The day this body of knowledge become transparent is the day it will be completely accepted and use by everyone without fear mistrust and apprehension. Copyright © 2017 Integrative Energy Medicine Institute - All rights reserved.